See how to prepare an Irish dinner that is inspired by products of the Irish countryside and the heritage of the Manor Houses. Sample Irish food, drinks and music at The Local. Learn about some of Ireland’s most famous crosses like Clonmacnoise’s Cross of the Scriptures and Monasterboice’s Muirdach’s Cross. Hear some stories about how these crosses might have affected the lives of people in Ireland’s age of saints and scholars. Materials will be provided for those who would like to create stories of their own on paper crosses. *$5 registration covers take-home gift. 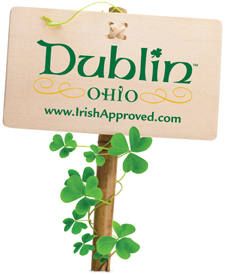 For more activities, visit http://www.IrishApproved.com or call the Dublin Convention & Visitors Bureau at 800/245-8387.